So, here's the deal. They do one thing - pizza - and they do it fantastically. 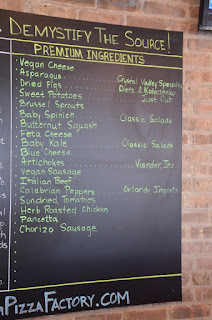 The menu and process is pretty simple, although newbies may be easily overwhelmed by the number of possibilities. 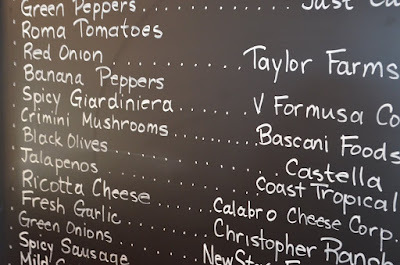 Each pizzarista is there to guide you along the way with suggestions to create a custom pizza to your liking. 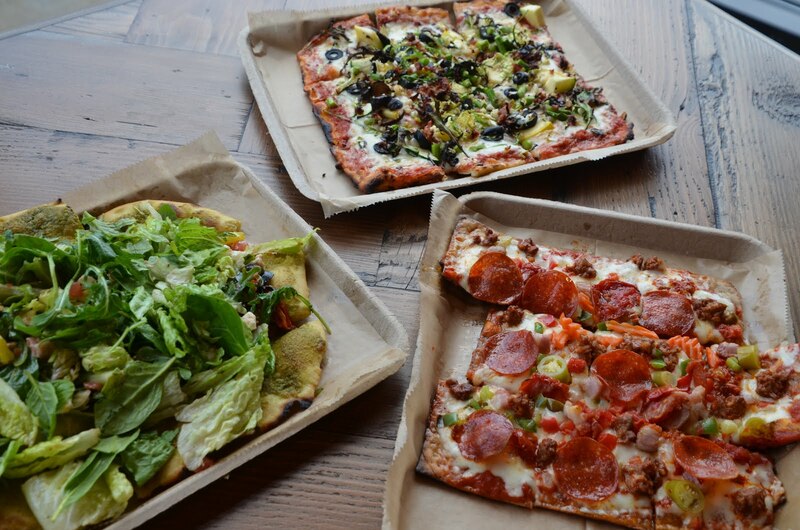 You start with your crust - either a traditional or a gluten-free ancient grain option. I know there are many people who have no choice but to eat gluten-free foods due to health issues. Fortunately, I'm not one of them. However, I have had gluten-free pizzas in the past and as hard as they tried to make them delicious, they just didn't measure up and left me disappointed. This crust is what gluten-free pizza lovers have been waiting for. I didn't realize it was gluten-free until after eating it and was very surprised. I loved the texture and flavor and would definitely order it again. 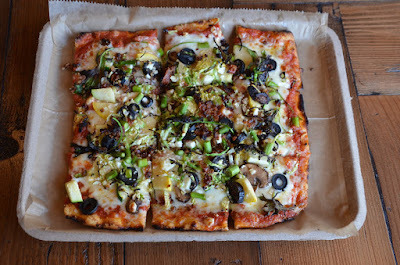 Oh, and the crusts are all square, rather than round so your toppings cover the crust all the way to the edge. After selecting your crust, you select the sauce - either traditional red or spicy red. 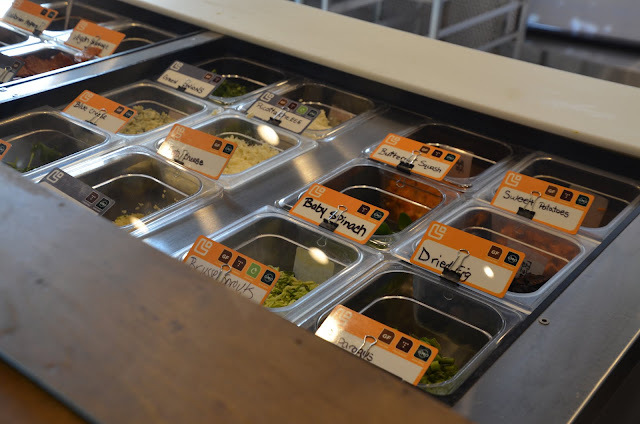 Then comes the fun part - all of the toppings. This part is all left up to you. They don't have a "meat lovers" or a "pizza margherita" or other pre-determined ingredient choices. This means you have two choices - be intimidated and indecisive by all that's in front of you or run with it. I suggest the latter. But if you are unsure, just ask the pizzaristas, who have a ton of killer flavor combos up their sleeve. Regular ingredients are a dollar extra include five cheeses, four proteins and 14 vegetables. Have them all if you like. You can also add premium ingredients ($2 extra), which adds another five cheeses, four proteins and nine produce options. 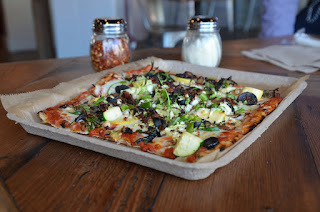 Among the regular ingredients are many of your traditional pizza toppings, like sausage, pepperoni, mozzarella cheese, green peppers, olives, onions (red, green and Spanish) and mushrooms (but not just any mushrooms, CREMINI mushrooms. Yummo!) 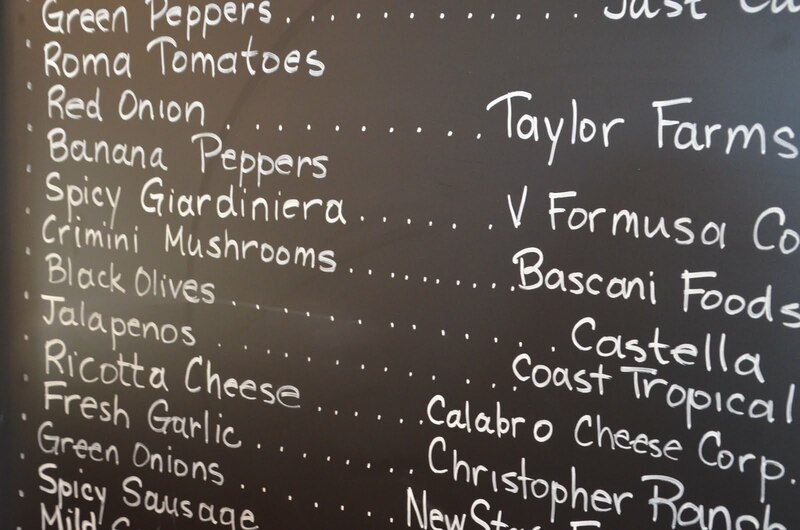 as well as some more non-traditional ones like bacon, banana peppers and Calabrian peppers. With the premium ingredients you can really have some fun. 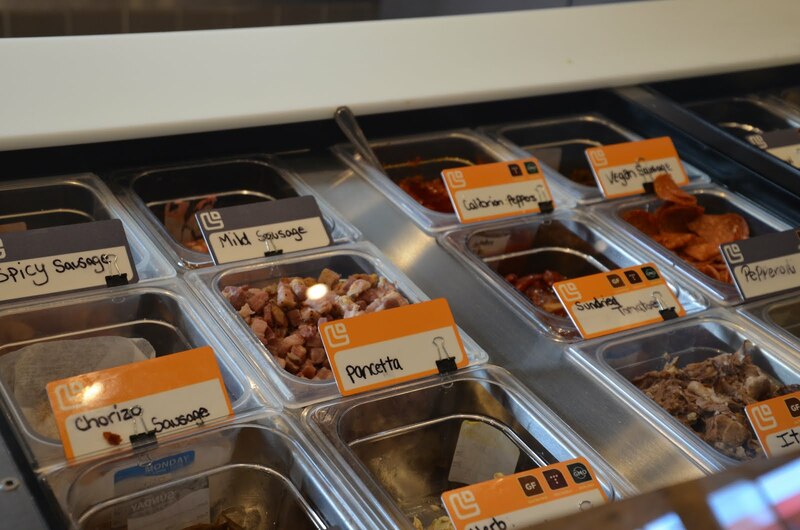 Some of your options are ricotta, feta, goat and bleu cheeses, roasted chicken, pancetta, Italian beef and chorizo. 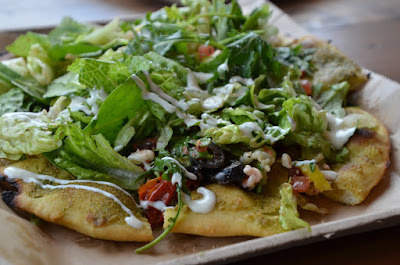 Then load it up with unusually amazing toppings like artichoke hearts, asparagus, baby kale, Brussel sprouts and figs. 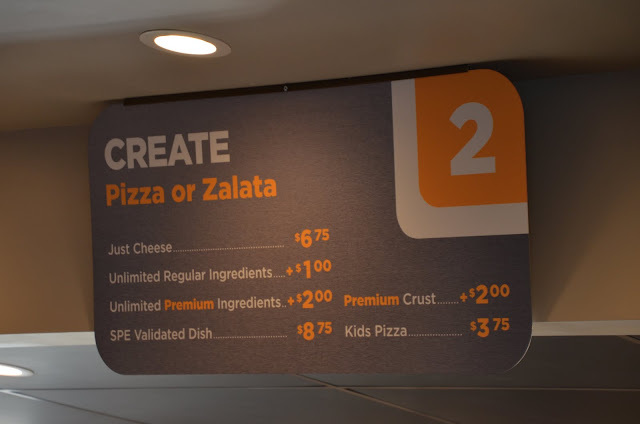 The "Zalata" is part pizza/part salad. They also have a cool pizza/salad hybrid called a Zalata. It's genius! 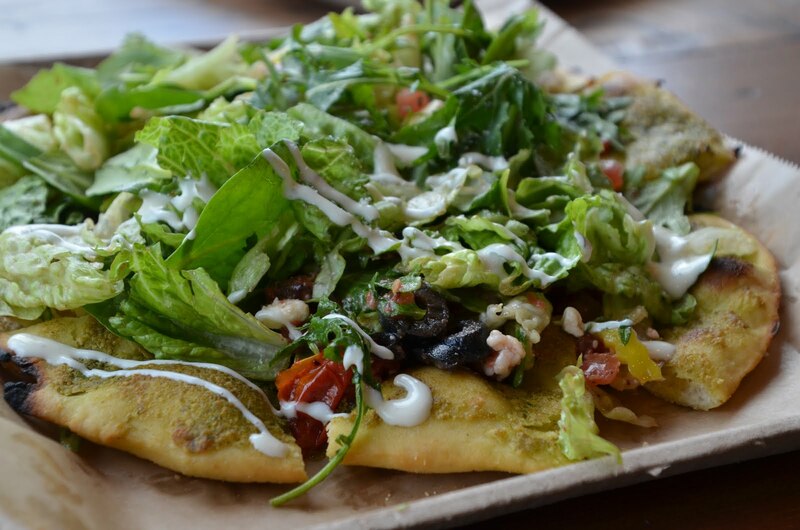 It's a custom made, crisp, healthy salad on top of a hot, cooked pizza crust. I always like some little bit of carb with my salad - either croutons or tortilla strips or a little piece of pita or flatbread or a good old dinner roll. This is a winning combo, with a built in layer of crispiness. I'm smitten. There's free parking around the corner on Southport. 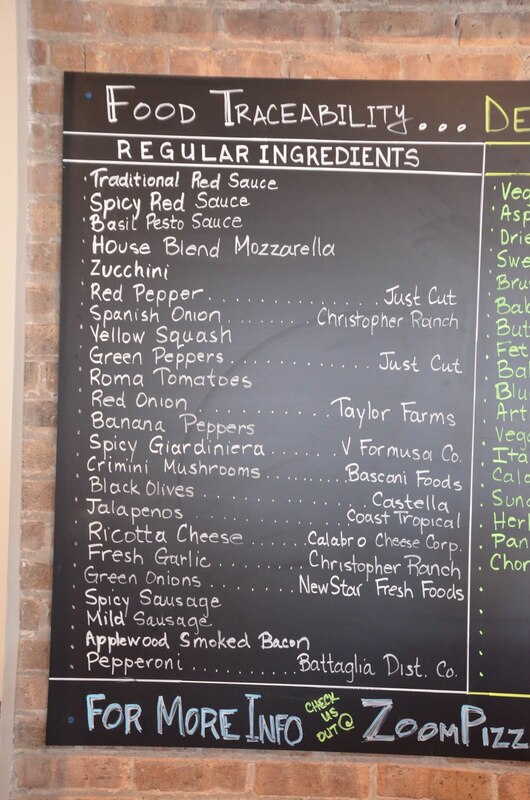 Traceability is a huge thing at Zoom Pizza Factory and as much as they can, they disclose the exact source of the ingredients on a board that you see as you come in to place your order. There's also a drizzle bar with some oils and dressings to top your creation. Your pizza cooks in about 4 to 4 1/2 minutes. There's a separate gluten-free prep area. 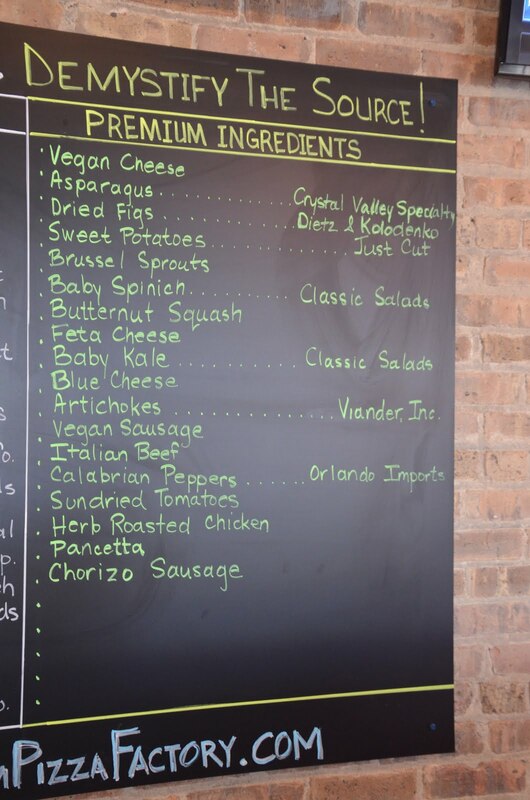 Not only is it gluten-free friendly, but they also offer vegan cheese, vegan sausage and vegan sauces. Call ahead and there's a loading area for pick-up. You'll notice when you toss your trash, there's a bin for compost and they have a compost dumpster. All the paper goods are compostable. Love that! There's a loyalty discount of 10% after 10 visits. 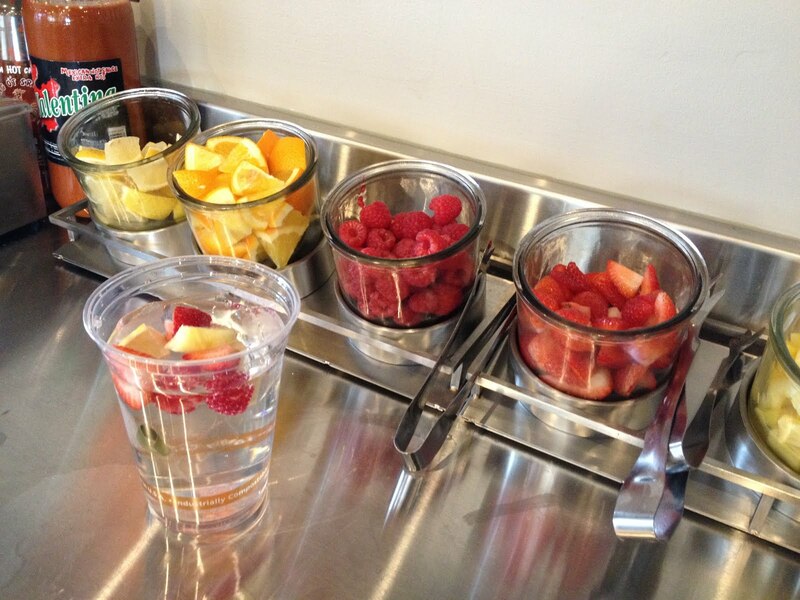 The water bar has fresh fruit - so refreshing and good for you. Order using their new app, which has this cool feature where your location is gauged through GPS, so the pizzaristas know how close you are, allowing your pizza to be as fresh as it possibly can be and ready for you to take with you as soon as you arrive. Look for more locations in the city in 2016! Two more are in the works. They do catering and private events. Yes, they have something for the little ones. A kid pizza is a half-sized version. There's a quaint private room that will seat up to 10. 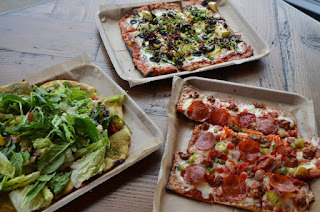 Visit ZoomPizzaFactory.com to learn more.